If you love steamy romance stories with suspense and drama, Unchained Hearts, Baxter Family Saga 1 has enough twists and turns that make readers liken it to a Lifetime TV movie. An interracial romance of two love stories in one that’s definitely worth the lack of sleep, guffaws and WTFs! Kyle Avery, CEO of Mama Avery Foods meets the elusive mogul Newton “Cass” Baxter, CEO of Baxter Chemicals and learns of the nearly forty year love and troubled history he and her mother shared, As Kyle struggles to understand this, she’s forced to confront the man who loved and left her, Brandon Hall, who’s also the adopted son of Cass Baxter. United in love, but separated in tragedy, Kyle and Brandon are forced to deal with the sad legacy of their parent’s lives as well as their own heartbreak. 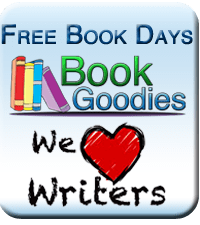 Check out Palessa’s Free Reads! I Knew It! Netflix Binging Can Help With Writing!